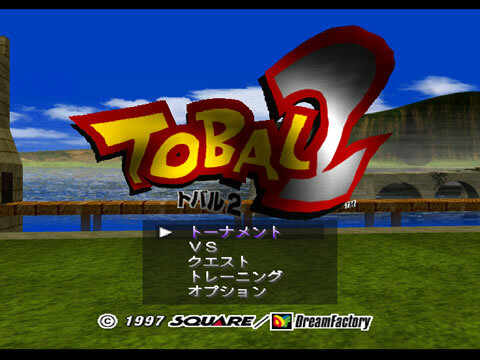 REVIEW: Tobal 2 was planned for release in North America but was mysteriously cancelled all together. Rumor has it that third party companies wanted to release the game in the US, but Square refused to give them rights to the license for some reason. 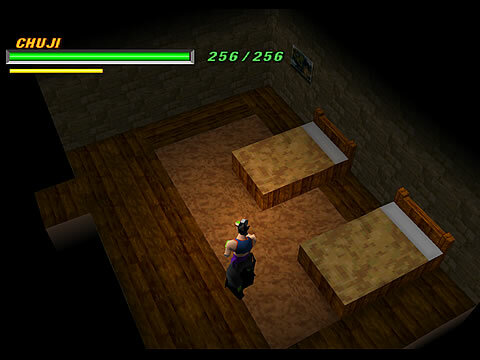 Square's official statement was that the game was never released because the PlayStation's limited memory prevented the English dialogue from fitting in the game's text boxes. Long story short, to play it here in the USA you'd either have to import it or use an emulator. Epon dashing! 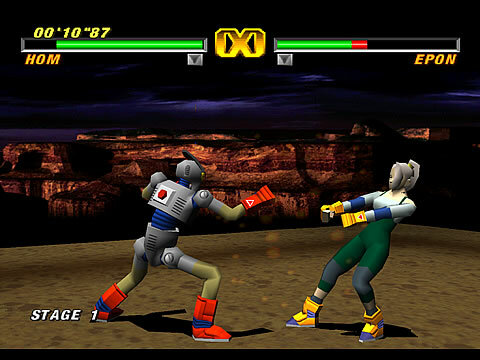 Looks like old school Tekken animation... lol. Tobal 2 is definitely an improvement over the prequel in terms of graphics & gameplay. The title's claim to fame is its "200+ characters" which are unlockable through the new Quest Mode. Many of these characters are "monsters" with silly names to boot, and most of which are just simple cut & paste jobs. 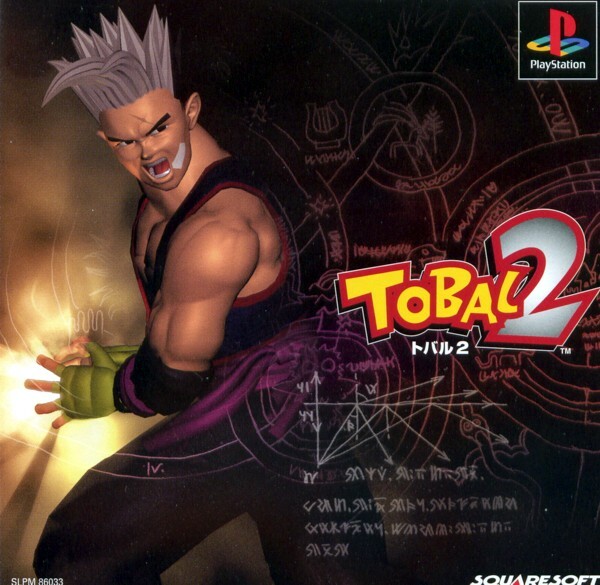 Basically, if you ever wanted to take all of the monsters out of a classic RPG and put them in a fighting game, Tobal 2 is the fighting game for you... there are skeletons, wizards, ghosts, giant floating squids, giant ferrets, giant monkeys, bears, tons of different robots, a chocobo from the Final Fantasy series (complete with theme music), plenty of walking blocky things (wait that's every character), and even a Mokujin look-a-like. It's madness. 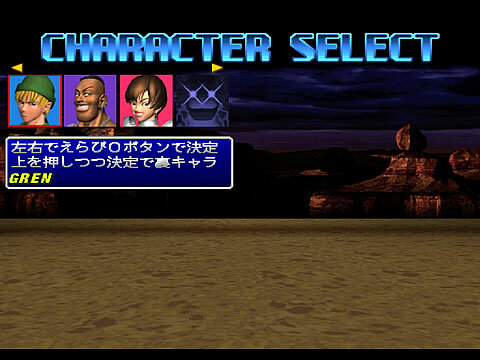 Of course, the entire roster from the original make their return, and do look and feel a bit smoother this time around. The fighting mechanics feel much more complete than Tobal No. 1's, and the combo system is thankfully more open-ended. The reworked grappling/counter system is also an improvement, and is probably the most unique feature about the gameplay... characters can escape out of throws and flow right into their own throws/counters. Overall Tobal 2 is more fun to play than the original, and thankfully the pace of the gameplay is faster this time around. 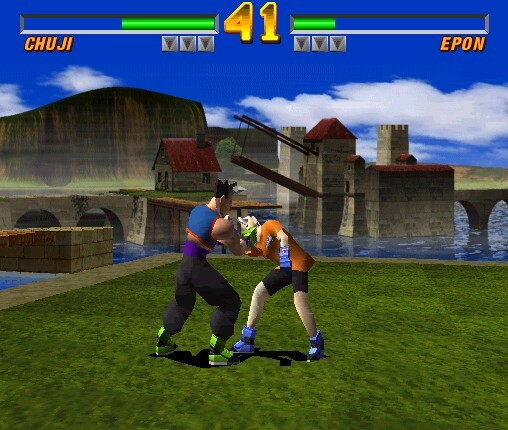 Even so, Tobal 2 is still noticeably "slow" when compared to most other fighting games of the era. 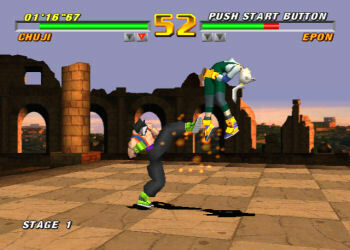 Some of the best graphics to come out of the PS1, actually. Tobal 2's updated polygonal graphics engine features sharper character models & backgrounds, and finally, "textures" have found their way into the visuals (welcome to 1993)! 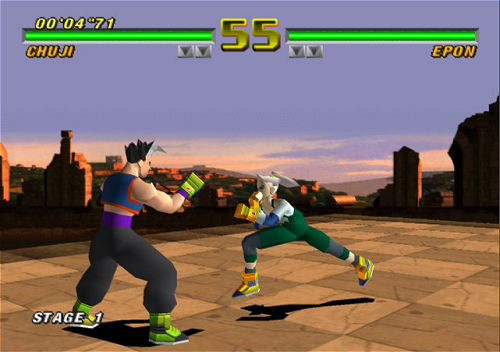 Overall, character models are still on the blocky side when compared to the top of the 3D fighting game crop. The animation has also improved, but there are a handful of awkward moments, especially during hit and falling animations. 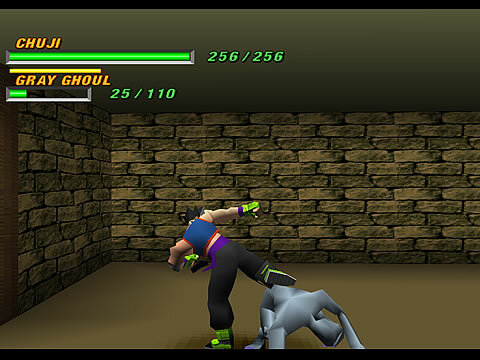 Attacks and combos that connect just don't seem to "hurt" very much in Tobal 2... And it really doesn't help when a character gets knocked down after a brutal hit or combo, just to jump or flip right back up like nothing happened. However, throws look pretty painful, as they should. The RPG-like Quest Mode was one of the things that made Tobal No. 1 stand out, and Tobal 2's has the same effect as the original (actually better). This time there's a whole town to explore, complete with shops and dungeons. Your character must also eat and sleep to stay alive. The dungeons themselves aren't much different from Tobal No. 1's, but look a tad better with improved textures. The overall designs of the dungeons are still kinda generic, though. Final Words: I was never a big fan of the Tobal series, mainly due to the oddball character designs (and I know I'm not the only one). Goes to show how important character designs are in a fighting game. I'm sorry, but... a chicken-man, obese wrestler lady, Master Roshi wannabe, and a fat devil wearing Andre the giant's wrestling attire just don't do it for me. Quest Mode is a worthy play-through at least, and there are a ton of silly characters to meet and unlock. Gameplay-wise, it's solid enough to play competitively, but still lacking in some areas. Tobal 2's engine pretty much paved the road for Ehrgeiz. On that note, I personally liked Ehrgeiz better than Tobal 2 for the characters alone, but I know there are a few out there who would say they prefer Tobal 2.